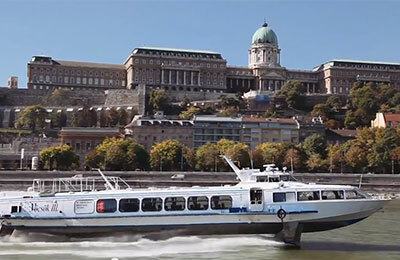 You can use AFerry to book a Mahart Passnave Ferry between Hungary and Austria, via the ports of Budapest and Vienna. 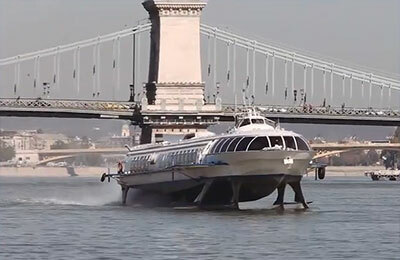 Mahart Passnave use high speed hydrofoils with the aim of providing the fastest service with unrivalled comfort on board. 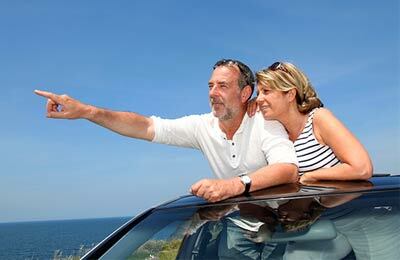 You can use AFerry to book Mahart Passnave ferries to Budapest and Vienna. For all Mahart Passnave ferry routes and the latest prices and sailing times see below. Click on your ferry route for a detailed timetable with arrival and departure times. On board you will find flat screen televisions, airline style seating and an exclusive bar. There is also an onboard buffet serving sandwiches and refreshments. Check in for Mahart Passnave opens 1 hour before departure, and closes 15 minutes before departure. Seats are taken by passengers as they board. Each passenger has an allowance of one piece of hand luggage, measuring no more than 55 cm x 45 cm x 25 cm and weighing no more than 12kg. Hand luggage cannot obstruct boarding and the walkways of the ship. Mahart Passnave was established in 1994, and now carries nearly half a million people every year. The larger Mahart Passnave ships can carry up to 112 people, and can sail at speeds of up to 65km/h resembling an "aeroplane on the water". How long before departure should I arrive for Mahart Passnave?